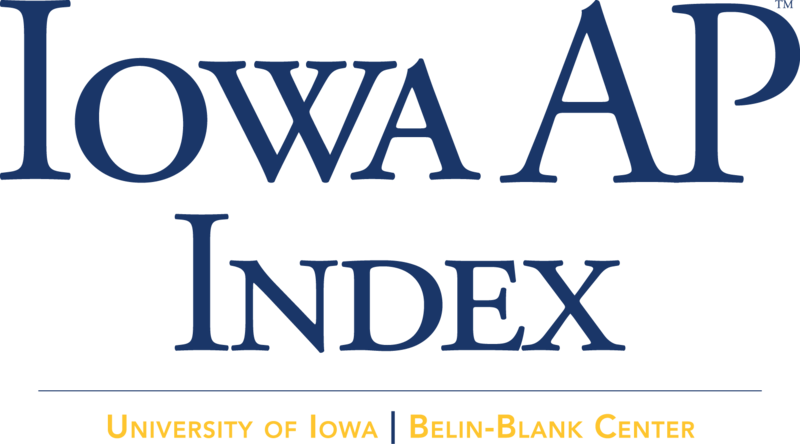 Each year since 2005, the Belin-Blank Center has released the Iowa AP Index to recognize the Top 50 Iowa accredited public and nonpublic high schools for providing Advanced Placement opportunities to Iowa's high school students. The 2018 Iowa AP Index is based on May 2017 AP exams and May/June 2017 graduation data. Numbers for the AP Index were rounded to the hundreths, and ties were broken by carrying out decimal places further. For more on how we run the numbers, please see About the Index. The Iowa AP Index focuses only on AP opportunities. We encourage high schools to continue their efforts at offering AP courses, and we applaud students for stepping up to the academic challenge. Congratulations to all of the 2018 AP Index schools! If you are interested in improving your school's AP Index and developing a culture of advanced learning, consider sending teachers to this year's AP Teacher Training Institute (APTTI) on the University of Iowa campus. Seats are limited.